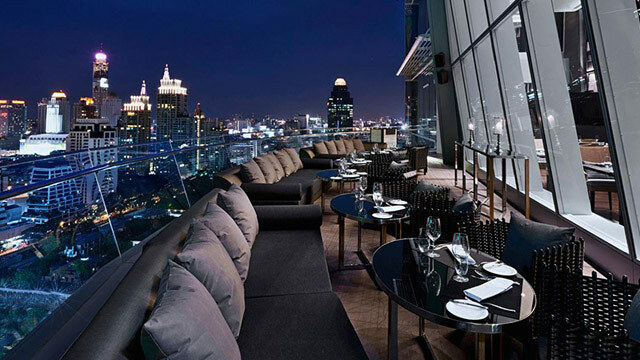 The Okura Prestige Bangkok have a luxurious rooftop bar in Bangkok with an outstanding restaurant, called Up & Above. The kitchen offers wonderful food during breakfast, lunch, dinner and also on Sundays one of Bangkok's best brunches. The large indoor bar & restaurant is open all day (from 06.00 in the morning), while the outdoor half-moon shaped terrace opens at 18.00. 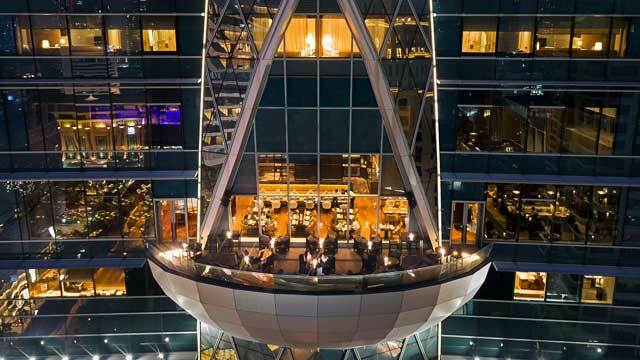 Although the main focus is the food, the view and the atmosphere is world class here to. Lovely panoramic view of the city skyline. And the cocktails are of high standard as well, all in all what you can expect from a 5-star establishment. You can reserve a table inside in the restaurant, but the terrace works on a first come, first served basis. 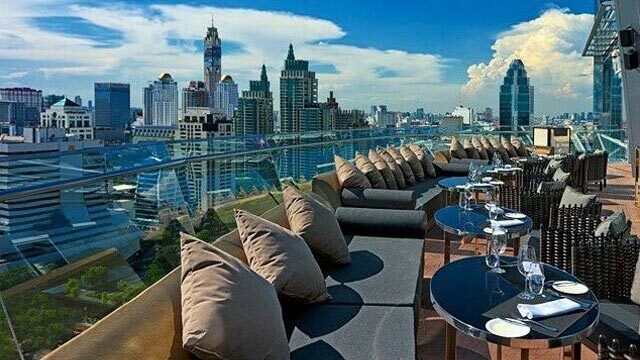 The Okura Prestige also has another terrace with a swimming pool, this one is however only for hotel guests. 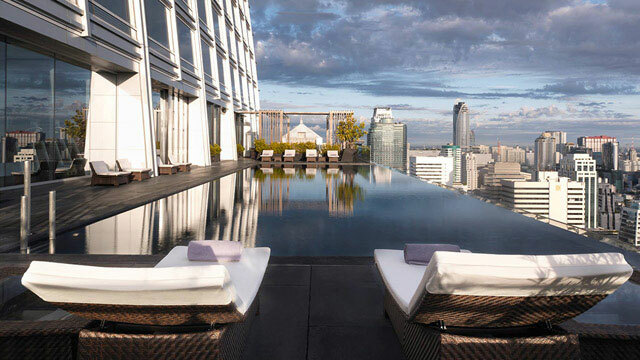 Tip: Book your stay at the 5-star Okura Prestige Bangkok to enjoy the rooftop pool and always have close access to the rooftop bar.